Aydogan Ozcan, Chancellor’s Professor of Electrical Engineering and Bioengineering at the UCLA Henry Samueli School of Engineering and Applied Science, has received the International Commission for Optics (ICO) Prize. Ozcan was recognized for his seminal contributions to biophotonics technologies impacting computational microscopy, and digital holography for telemedicine and global health applications. The ICO Prize is given to groundbreaking researchers in optics who are under the age of 40. 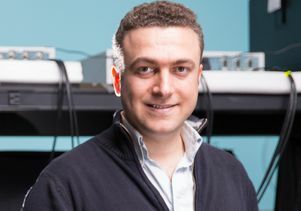 Ozcan, 37, has developed a range of high-throughput computational photonics tools for use in metrology, telemedicine and other biomedical applications. Devices and techniques pioneered in Ozcan's UCLA lab include holographic on-chip microscopy platforms that can image single nanoparticles and viruses and detect cancer and other abnormalities at the single-cell level. Ozcan’s lab has also developed lightweight, 3-D-printed smartphone attachments that can diagnose diseases, including malaria and HIV; detect mercury and pathogens such as giardia and E.coli in water samples; and find allergens in prepared food. These mobile devices are portable and cost-effective, making them practical for use in biomedicine as well as environmental monitoring in rural and resource-poor areas. Some of these inventions have been commercialized by a UCLA spinoff company founded by Ozcan and are being used in more than 10 countries. 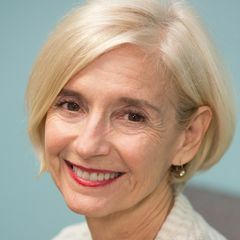 Ozcan is the first UCLA faculty member to win the ICO Prize. Previous winners include German physicist Stefan Hell, who later went on to win the Nobel Prize for Chemistry in 2014, and French physicist Alain Aspect, who received the UNESCO Albert Einstein Medal in 2012. ICO was created in 1947 to advance the progress of optics and photonics. Its nearly 60-member organizations from around the world include the Optical Society, IEEE Photonics Society, the European Optical Society and SPIE, the international optics society.